Since our children are out of school for the summer during the Fourth of July holiday, they may not get to learn the true meaning of this important day. I have found some great resources for Independence Day lesson plans so that you can take this opportunity to teach your children how the 4th of July came about. Education World – a great lesson plan for an Independence Day time line. Crayola – Hooray for Independence is a lesson plan for the young ones with a great Fourth of July craft project. Fireworks Mini Unit – a great lesson plan to teach your kids all about fireworks. The U.S. flag should be displayed only from sunrise to sunset unless the flag is illuminated. The flag should be placed on the speaker’s right or the staging area. Other flags should be placed to the left. When an American flag is displayed from the same flagpole with another flag – state, community, or society – the U.S. flag must always be on the top. When flown at half-staff during a period of national morning the flag is first hoisted to the top of the pole for a moment and then lowered to half-staff. 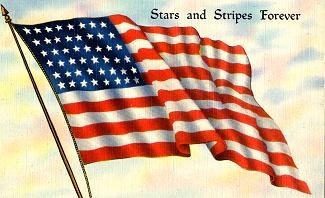 At the end of the day the flag is first raised again to the top and then lowered. When the US flag is suspended across a street, it should hang vertically with the stars to the north or east. Finally, you can take this opportunity to tell you children that every day should be celebrated because we have our ‘Independence’ every day! If you have Independence Day lesson plan ideas, we would love to hear them! Hope to hear from you. Enjoy Life!!! That was a really interesting post. I learnt a lot about 4th July, thanks! Lilly – you are welcome. I learned alot while doing the research.